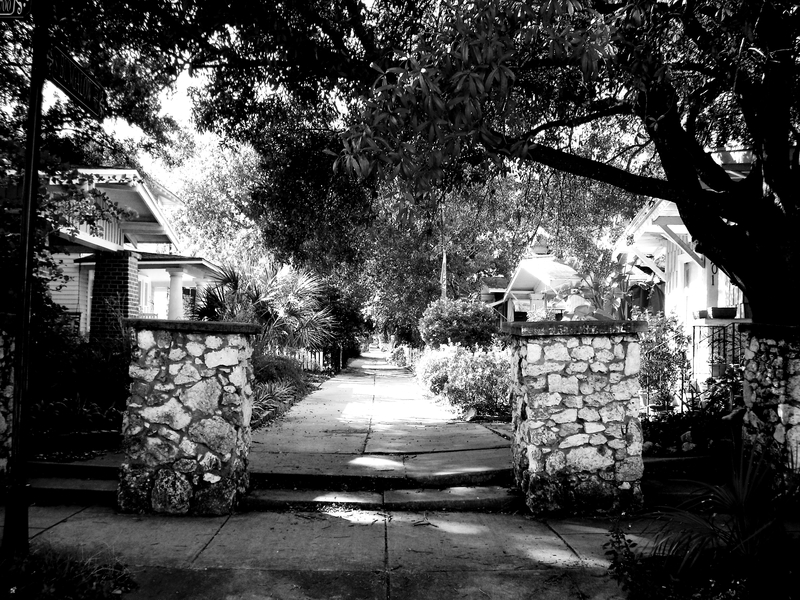 Hyde Park’s Bungalow Terrace is an early 20th Century bungalow court subdivision that provided affordable Craftsman style housing for the rapidly emerging middle class. The project was developed in 1913 by Alfred Swann and Eugene Holtsinger and the first homes were sold for $4,500, including land. 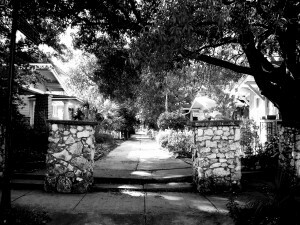 The bungalows were built on small lots which boasted low maintenance, and centered on a generous common sidewalk. Small garages were accessed from rear alleys. In 1918 a 345 foot pergola was constructed spanning the entire length of the bungalow court and provided individual archways to each bungalow. In 1924 the pergola was removed because of rot caused by the invasive bougainvillea that had been plant to cover the structure. Through the years, Bungalow Terrace’s Craftsman style homes have attracted professional athletes, artists, and writers, including best-selling author Alec Waugh.